If you know me, you'll know that the month of September was pretty awful for me. My partner spent a lot of time in hospital and I was actually unwell myself. I was sick and stressed so my muscles were pretty tight and painful. 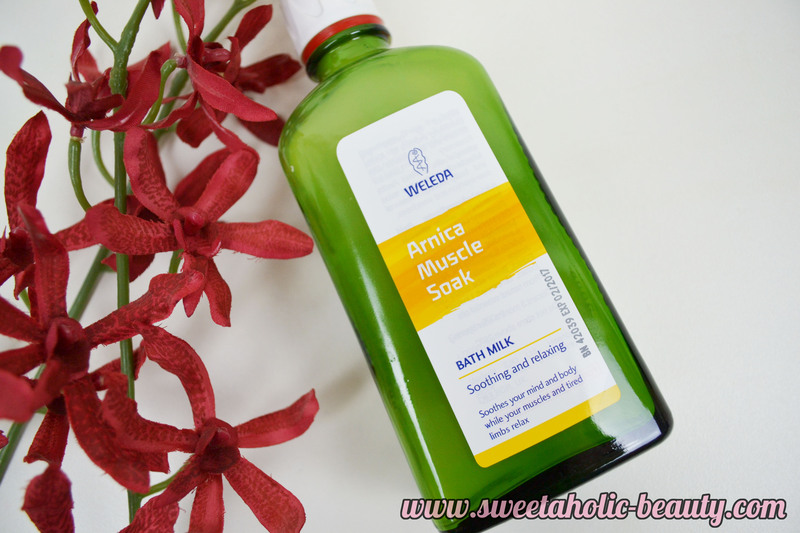 I received the Weleda Arnica Muscle Soak just in time; and I've already used it on a number of occasions so I thought it would be time to share my thoughts. 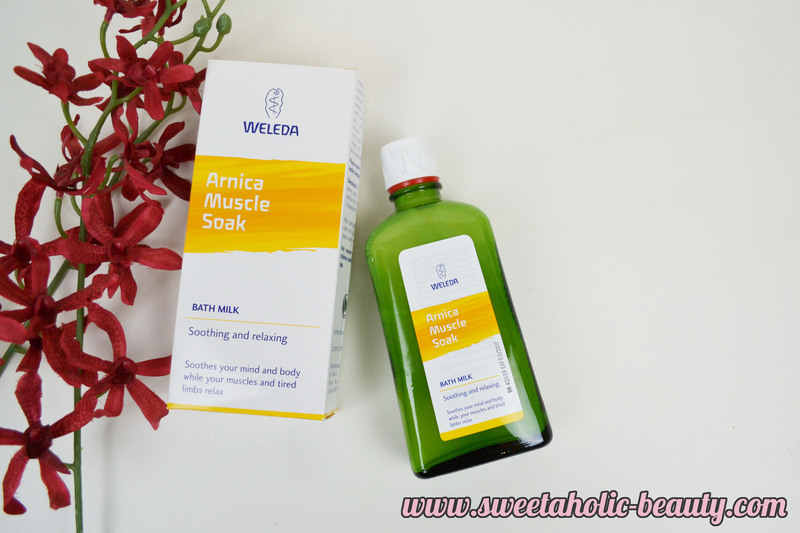 The Weleda Arnica Muscle Soak contains a bunch of amazing products that help you relax, including extracts of Arnica flowers and birch leaves. It also contains lavender and rosemary essential oils; both amazing oils for relaxation. While it doesn't really smell like much in the bottle, when it's used in the bath it comes alive with a fabulous natural scent. I have to say that I found the scent to be rather unique and refreshing. This is actually described as a "bath milk" which I think totally nails it. You only need to apply 2-3 cap fulls of this stuff, and your bath becomes cloudy. It doesn't bubble up or leave any residue on your bath afterwards, which is great news. Once I eased my tired body into the bath, I was delighted to find the water had become very soft and silky; akin to the feeling I get when I use a bath melt from Lush. This definitely added to the relaxation of the bath. As you can see, I've already used a fair amount of this since receiving it. After my bath, my skin felt incredibly smooth and the scent lingered just a little - but once my moisturiser was applied, it died down. So if you're not a fan of the scent, never fear! 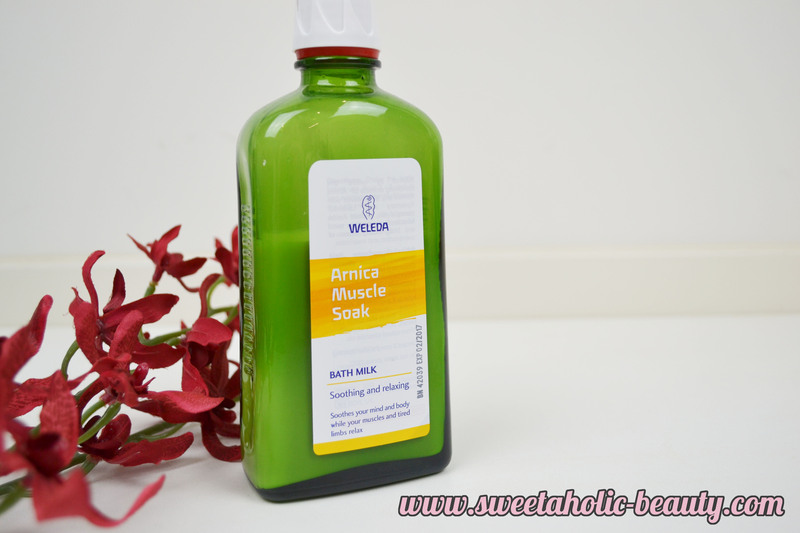 I've become a pretty bit fan of the Weleda Arnica Muscle Soak and will be buying another bottle soon. (Considering these pictures were snapped about two weeks ago, I'm pretty I've used up a fair amount since!) There are other scents in their Bath Milk range which I am now incredibly keen to try, including Lavender, Rosemary, Pine and Citrus. 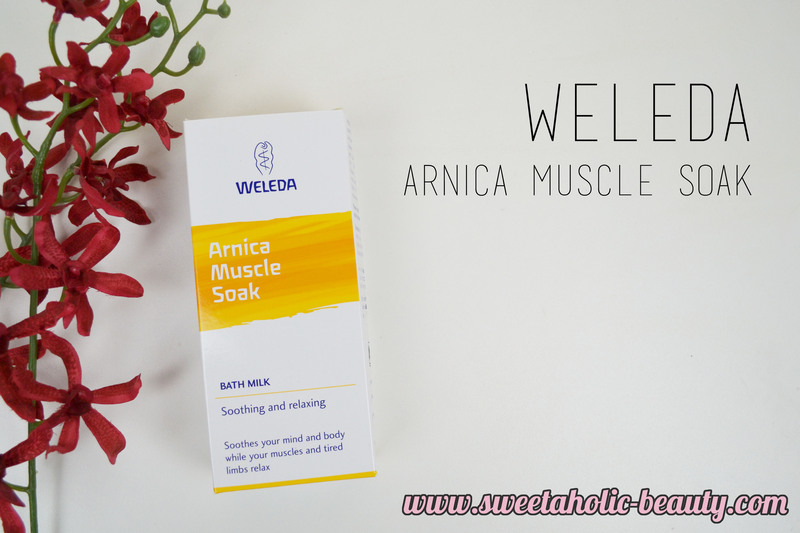 Have you tried the Weleda Arnica Muscle Soak before? If so, what are your thoughts? Are you a fan of a nice relaxing bath? Product was provided for consideration. I so need this in my life after a weekend of wakeboarding! Here's to a better month!